Here’s a pic (taken by chris) of my installation at Dunn & Brown. It’s a dance club hit written for symphonic band and choir. 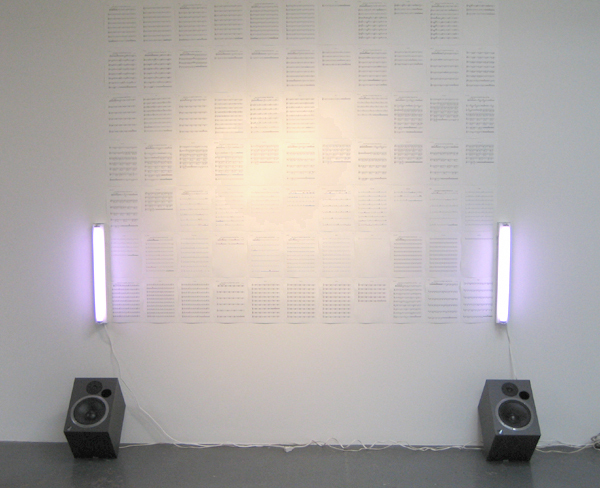 The music plays on the speakers in a loop (about 4 mins long) and the entire score for all the instruments is pinned to the wall between two Sylvania Gro-Lux fluorescents.